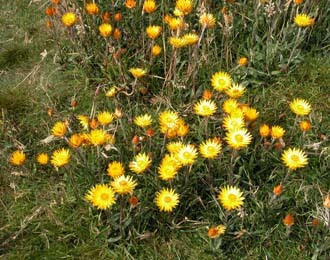 Tasmania has 8 native and one introduced species of Xerochrysum. 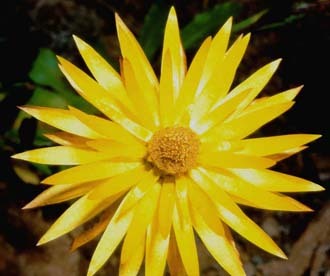 Some of these species have changed names at least twice; the Student's Flora describes these as species of Helichrysum and they were known for a number of years after that as species of Bracteantha. They are all medium sized herbs of open places. 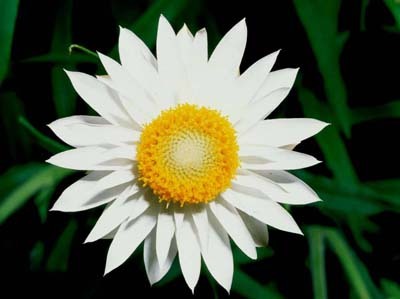 They all have showy flower heads that are ether yellow or white. 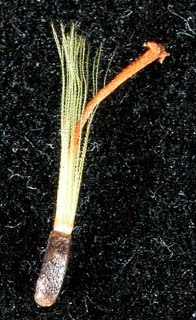 The phyllaries are conspicuous, papery and resemble petals or ligulate flowers.